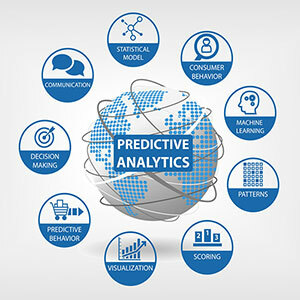 How good is your BI solution in predicting the future? How intelligent is your BI in anticipating events? How much does it cost to maintain your BI? How good is the return on investment on your BI? How agile and flexible is your BI system? How good is your BI system in supporting end-users? How easily does your BI provide access to relevant business information? How rapidly and cost efficiently can you add new data to your BI system to adapt to changing market conditions? Today’s BI, based on the Data Warehousing model, is lacking some very basic features and functionality. Adding another BI tool will only increase complexity and costs and is therefore not an appropriate solution. We need to reconsider the basics of the current model and identify areas and technologies with the potential to improve things structurally. While there are precious few references that paint a vision for the future of BI, there have been some authors that describe the next wave. The BI of the future is becoming the brain and the central nervous system of organizations. Management information doesn’t find itself locked in a Data mart or in a management report any more; instead it is automatically being re-injected in operational source systems to adapt to ever changing market conditions. In this sense BI is becoming a critical business function interconnected and at the core of the enterprise information architecture. The next wave in BI, Information Intelligence, will be the lifeblood of organizations. In addition, Information Intelligence is about building smarter business processes and making BI more user friendly and flexible. In the BI space we see more and more evidence that Metadata linking using smart AI based search is revolutionizing traditional BI architectures based on Relational Data Base Management Systems (RDBMS) and Multi-Dimensional Database Management Systems (MDBMS). Search based BI is very flexible in handling any format and type of information, be it structured, unstructured or external. This is in contrast to the more rigid single structured view of data within Data Warehouses. Search based BI are able to cope with continuously evolving data structures. Indexing both existing and new data does not require extensive data-modeling. This in contrast with the modeling of the Data Warehouse which is time consuming not only when the model is created but each time new data is added to the Data Warehouse. Search based BI enable content-driven dimensional navigation. At each step of navigation Search Engines propose different possibilities to filter results according to the content of the datasets that are being indexed and analyzed in near real-time. Search based BI, unlike solutions based on RDBMS, are able to analyze data without the need to know the various data types: e.g. a Search Engine can easily look for any event that occurred at a specific point in time, whereas in traditional RDBMS data models, you can only search on precise data fields (e.g. on “invoice date” or “customer creation date”). End users are now quite familiar with the “Google” interface. As a consequence, they are much more independent from IT departments if they can access decision support data through a Search based query interface. When external and unstructured data is needed to support decision making, traditional Data Warehouse architectures are limited and Search based BI can help to fill the gap. Search based BI include functionality to automatically generate categories and clusters without pre-defined definitions, hence improving the contextualization and meaning of data. Search based BI can augment the functionality to aggregate and analyze data at much faster pace. In addition, Search based BI enable end-users to expose relationships and to find patterns in data without the necessity of the perfectly formulated question or write complex queries. Search based BI can work with existing information systems (e.g. Data Warehouses, Data Marts, Production Systems, etc.) and provide a federated view of data without compromising on performance. At the same time, the federated business view can encompass new data sources and provide cross-domain data navigation. This is in contrast to federation approaches based on RDBMS that failed to address performance requirements. “Actually, I’m disappointed by the level of innovation in the BI tools market, even before the industry consolidation, which will certainly make it even worse. Many of the claimed ‘innovations’ are actually rehashed versions of ideas that have been around for ages. For example, in-memory was the original BI architecture from more than 40 years ago, and column-oriented databases are almost as old. Dashboards, too, date back more than 25 years, to the brief EIS wave. But there’s certainly been a lot of consolidation, which is probably bad news for customers, as they’ll be paying higher prices for products that don’t progress as much as they would otherwise have done (or which may be discontinued altogether). The new owners of the BI products are much more interested in integration between their many products, than innovation in non-core products. The products are also likely to get more technical to install and implement, which may be good for consultants, but not for users. This blog addresses the next wave of innovation in Business Intelligence. Business Intelligence (BI) has been around for years now, and we would argue that since the introduction of the Data Warehousing concept in the early ‘90s not much has changed. Innovations in consumer electronics, entertainment, and communications have been revolutionizing the day-to-day lives of millions of people. Through the Internet, consumers have unlimited access to information and tools. Social networks, messaging and new media have changed the way people communicate and exchange information. BI products focused on data warehouse and visualizations are going to be the thing of past. A new breed of small innovative product companies like EzDataMunch are building next generation Search based BI product with AI and predictive analytics capabilities, collaborative features and ease of use as its core mantra to make information available to all at their fingertips like Google Search. 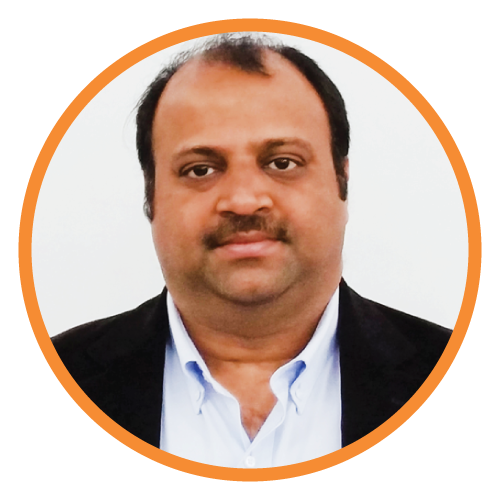 Milan Desai has more than 20 years of industry experience in working with clients to solve business problems. Passionate about leveraging technology for improving the quality of life and optimize the use of resources. Currently, working on utilizing data to drive business decision making process and user understanding of key metrics that drive the organization and markets in general. Co-founder of EzDataMunch – the first BI Apps store in the world.